But June really wasn’t my month. (Neither was May, but that’s past now.) When I was finally done frantically dealing with deadlines I got sick. I don’t know what kind of sickness it was, but I really don’t recommend it. It’s been a week since I felt better and I still think my ribcage is bruised on the inside from the coughing fits. You know that a sickness got to you when showering makes you so tired that you need to lie down when you get out. So now I’m finally here. I meant to have a fancy new feature with May’s books, but now it’s so late that it will have to be both May and June’s books. It’s only one extra book anyway. Right – the new feature. I don’t have any more regular feature-type posts and I thought this would be a good one to introduce. Yes, I do book reviews, but really – a lot of the time I have a lot of books that I just want to record a few thoughts on, rather than do a full review. So I can combine all those books into one post. Just a few thoughts on each and then I can still do reviews when I have a book to write them on. There are books that are just really hard to talk about. This is one of them. I could write pages and pages on it, but I couldn’t do it justice. So much has already been said, I don’t have anything to add. It’s a record-breaking #1 New York Times Bestseller. This book has all the accolades. Its own hit-movie. Usually I don’t pay attention to that kind of thing or even care about it. Prizes do not mean that a book is good. However, in this case it does. 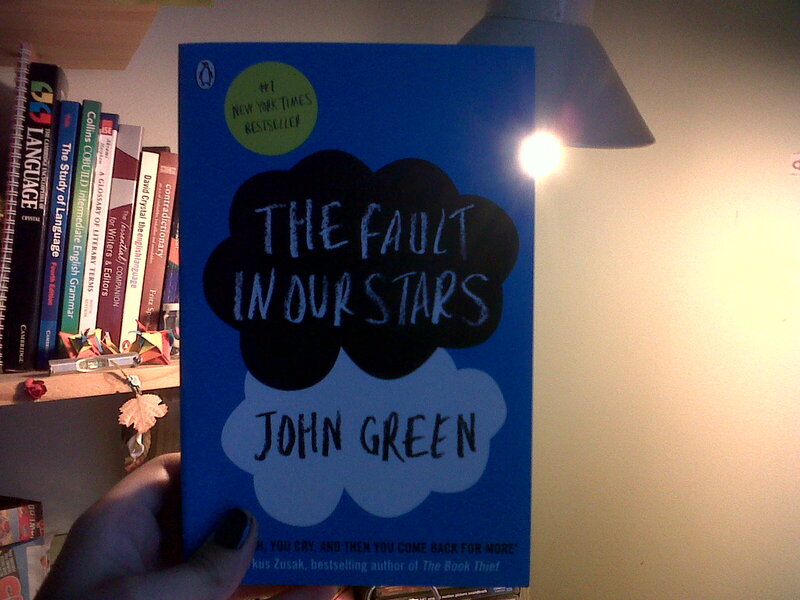 You know this book is going to be a tragedy before you even open it. It says so right on the back cover. Hazel (the main character) has terminal cancer. She’s sixteen and she’s dying. This book is her love story. Because that is what TFIoS is about. Just because you are sick, it does not mean you are not capable of life or love. Pain does not remove the possibility of joy. Cancer is horrible and life is tragic, but we can have moments that last an infinity and are so powerful that everything else becomes worth it. You know I love a good tragedy. I know that does not mean everyone else does. That’s why I don’t recommend this book to everyone. I know there are those who would hate a book as sad as this. If you love a happy ending and romance and felt betrayed by Frozen *ahem*, stay far, far away. However, if you’re like me and believe that everyone’s story is essentially a tragedy and that there are no happy endings, read it. It’s a rollercoaster ride of emotion. Read it if you love gallows humour. Gallows humour is my kind of humour. The kind where you are afraid that you might start crying, so you crack a joke. 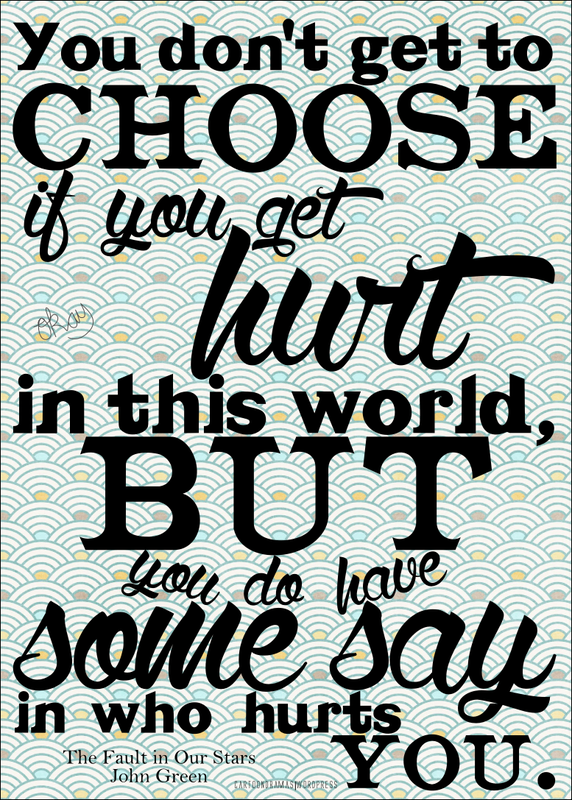 Then you notice that you’re making those around you feel better, so you keep doing it, until they forget their pain. You will amuse them until they are smiling again even though your own heart is breaking. You cannot fool yourself. That kind of gallows humour. In my previous post I mentioned that there was a book that helped pull me back out of the hopelessness of anxiety. It was this book. Maybe it is weird that a book essentially about death could pull me back to life, but it did. I started to see that even if the pain I fear becomes true, even if all my worst fears become true, it is still possible to go on under all of that. There is no magic cure, but this book helped a whole lot. That’s why I wear an infinity sign now. Infinity is one of the main symbols in the novel, as is the idea that infinity is not forever, but a short period to last a lifetime. 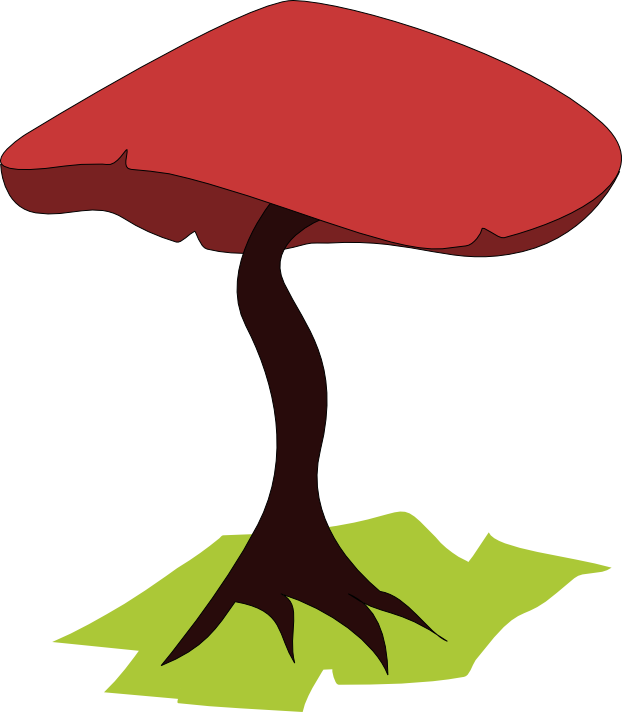 I wear this symbol not only as a tribute to the book helped me, but also as a ward. If this kind of anxiety flare-up ever happens again, I hope I will see it and remember TFIoS. Maybe that will help. 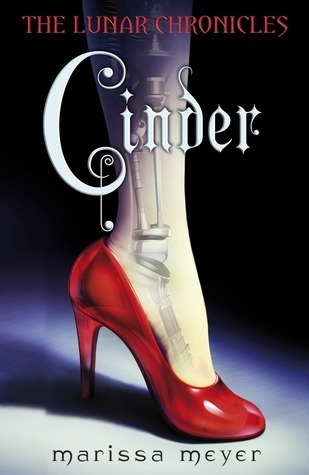 It’s a retelling of the familiar Cinderella story, but with robots. And very modern tech. I loved how it managed to be feminist without ever shoving it in your face or getting preachy. I’m a Christie fan. I love that she is the only author who can plot twist me out of my suspicions. I’ve never met another author who can do that. This book, which has been known by various less-politically correct names through the years, is one of her most highly recommended. Does it deserve that? Yes, it does. Imagine The Hunger Games, but not with children. The Hunger Games with suspected murderers. But who is really a murderer? And who is the mastermind behind this all? It’s creepy and tense and keeps you guessing to the end. This book was an impulse purchase during an ebook sale. I’d never heard of the author or the series before, I just decided that if it’s horrible, at least it was cheap. No great loss if it’s bad. Well, it wasn’t bad. I just didn’t love it. It is set on a planet that stopped spinning, so one half is caught in permanent night and the other in permanent day. It’s an interesting concept, but I just couldn’t stop thinking physics while I was reading. I believe that such a planet would break quite a few laws of physics, but what do I know? I was an English-major, not a physicist. Anyway, this is fantasy. It’s supposed to break the laws of physics. Moth starts off really slow before it picks up somewhat. It deals with topics such as extreme prejudice and dumb politicians. That part is good. I just wanted it to get to those parts faster. The way it explores a world without our familiar cycles of nature is interesting and well-handled. 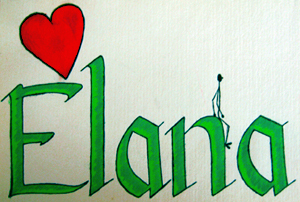 This entry was posted on July 2, 2014 by Elana. It was filed under Books and reading and was tagged with agatha christie, book review, books, books read in, cinder, cinder by marissa meyer, john green, marissa meyer, the fault in our stars. I have avoided the John Green hype thus far, but I really should pick up The Fault in Our Stars and see for myself why everyone loves it. At the moment, I’m reading Indiscretion by Charles Dubow. It’s quite good, although I am infuriated by two of the characters. But I suppose if an author can write well enough to make you feel emotion about their characters, then that isn’t a bad thing! Oh, I don’t like hypes either. They really say nothing about the quality of a book. Even though I’ve been a fan and supporter of John Green’s YouTube education projects and charity work for quite some time now I’d never read one of his books. In this case I believe the hype is justified, even though I think it’s kinda weird that this book, which is quite literary (but not inaccessible) and heavy on symbolism and metaphor, has so many people excited. Usually I would associate that kind of thing with classics which are praised by all, but never read because they require too much thinking. That’s true. George R.R. Martin also has that ability of making everyone repulsive but fascinating all at once. You want to slap them and you still keep reading. 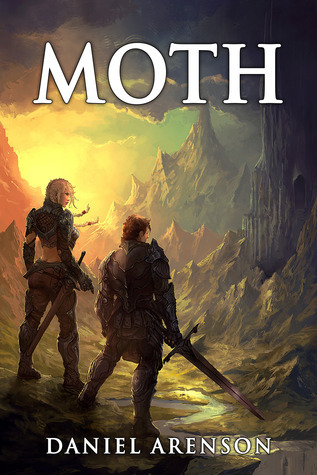 I just got a copy of “Moth” based upon your write up above. Will not be reading it for a while though, as I have too many already before it to read. I will let you know what I think when I do. This was my first visit, but not my last to your blog. I have sent you a Goodreads friend request too. As you like creative writing also, you should check out http://creativecopychallenge.wordpress.com/ too. I’m sure the author will appreciate it! Identify the books in the header? Like, the “Books read in” header? Oh, I know every single one! Yay! Yes, that’s what I meant. 🙂 Mostly I just wanted to point out that those aren’t random colours, but rather specific books.